At the beginning of August, the Hatfield Alliance to Reward Initiatives and Social Enterprise (ARISE) granted funding to worthwhile initiatives in Hatfield. 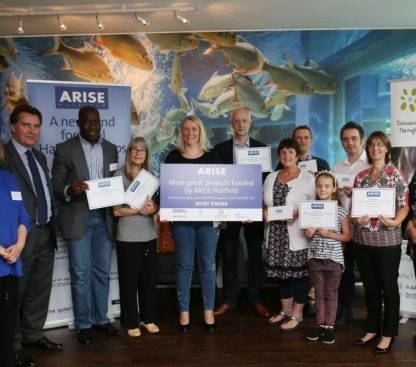 ARISE is a partnership between the Galleria, Ocado, Interserve and Gascoyne Cecil Estates which funds activities and initiatives committed to social change across Hatfield. These are the kind of initiatives needed to help establish the healthy, sustainable communities Gascoyne Cecil seek to develop. 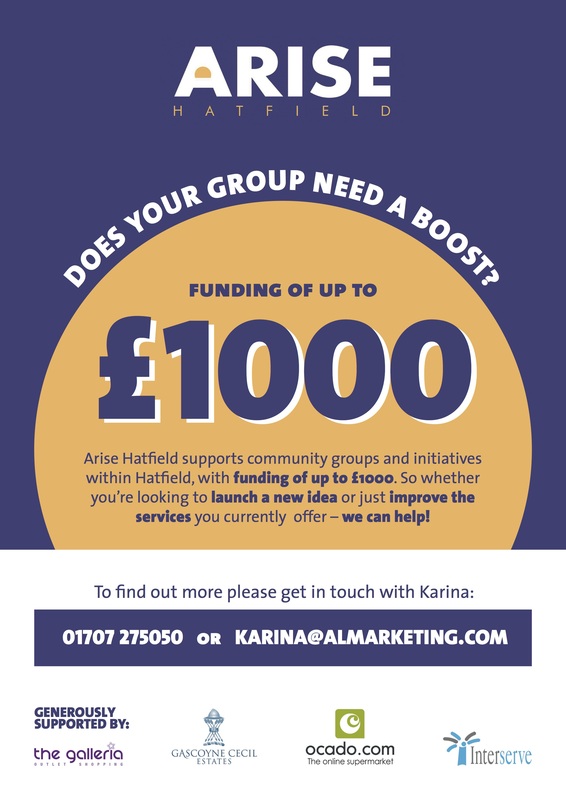 Each quarter the partnership calls for applications from local groups working to improve the lives of Hatfield residents. 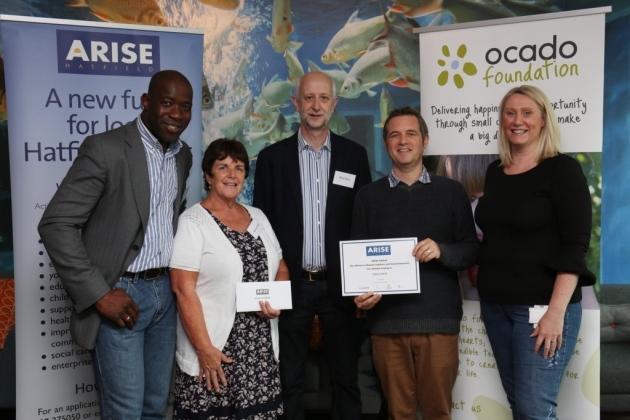 Groups can bid for up to £1,000 to support their work across three broad sectors: employment, improving community facilities, and local community groups. 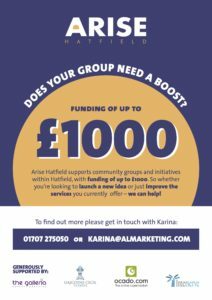 In Old Hatfield, for example, the Old Hatfield Residents Association were awarded £742 to purchase a watering container on wheels. This will enable Blooming Old Hatfield (BOH) Lead, Margaret Stephens, and other volunteers, to water to flower beds across the neighbourhood far more easily. 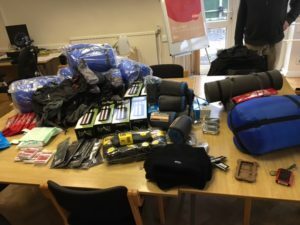 The Hatfield Night Shelter has been awarded £1,000 to set up a shelter in Hatfield for rough sleepers from November 2017 onwards. This builds on a £500 grant received in 2016 to put together a rough sleeper pack providing the basic essentials and encouraging vulnerable people to keep in touch with local services. 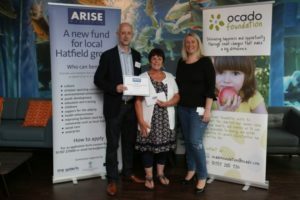 £1,000 to help get Hatfield Food Bank up and running. This is a partnership between the Trussel Trust and several Hatfield Churches. £287.20 to take Onslow St Audrey’s School students backstage at the Wyllyotts Theatre in Potters Bar, to meet Cinderella and learn about careers in the arts. £1,000 towards building a kitchen at Gracemead Church. 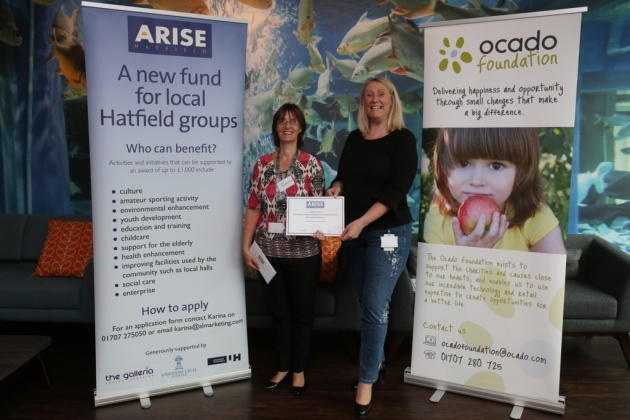 Since Hatfield ARISE was formed in 2013, it has altogether provided £39,000 in funding for local projects led by residents, schools and other community groups. For further information, please see here. Alternatively, contact Karina on 01707 275050. Or download the application form here. Once completed, please email your form to: karina@almarketing.com. The deadline for the next round of applications is October 9, 2017.